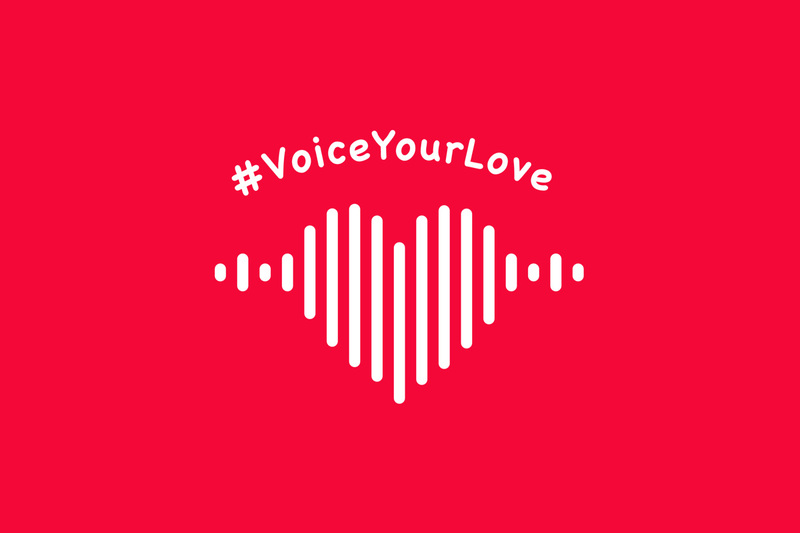 The #VoiceYourLove campaign, kicking off in time for Valentine’s Day celebrations of love and affection, challenges people to use their phone or tablet to create a video expressing love for people who’ve been meaningful to their lives — whether that’s family, friends, colleagues or even strangers. For those who wish to donate, voiceyourlove.org is the official campaign website. Today, R/GA Ventures, Moda, Umpqua Bank, Portland State University, Oregon Health & Science University, Business Oregon, ConsenSys and blockchain research firm Smith + Crown, are pleased to announce the launch of the Oregon Enterprise Blockchain Venture Studio (OEBVS): the first program of its kind designed to build a blockchain-based ecosystem, and position Oregon’s businesses and institutions to further compete globally. 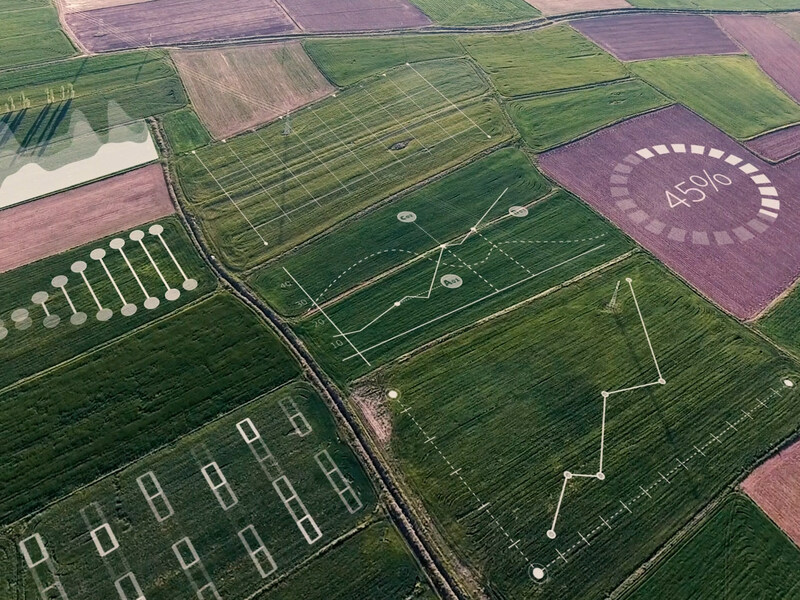 Bringing together private enterprise, education institutions, and the public and nonprofit sectors with commercial interests in agriculture, manufactured products, healthcare, finance, energy, transportation, technology, sports, and global trade, creates an ideal environment to test and launch blockchain applications with viable use cases. The intersection of the state’s technology workforce and commercial interests provides an opportunity for Oregon to be one of the first state sponsors of a public-private partnership to embrace blockchain technologies, potentially transforming how we live, work, play, learn, and govern. Designed as an initiative to drive blockchain-led innovation across multiple verticals and industry sectors, the OEBVS will focus on leveraging emerging startup products, services, and tools to solve targeted business objectives for the Studio Partners and amplify these successes across the state and globally. The Studio will be structured to identify strategic opportunities for startups, and provide the selected Program Companies with the market opportunities, guidance, and partnerships to achieve momentum for sustainable growth. Blockchain technology is an emerging technology with a robust and rapidly evolving developer ecosystem. Blockchain technology provides a secure way to encode transactions between parties, creating irreversible, immutable chains of information. This technology has implications for any organization that keeps records, tracks supply chains, creates intellectual property, or deals with sensitive data. It has the potential to enable new decentralized organizational constructs that could disrupt existing data-driven businesses. With use cases ranging from health care and logistics to data security and financial infrastructure, Blockchain technology presents a new frontier of exploration and innovation for forward-thinking enterprises. 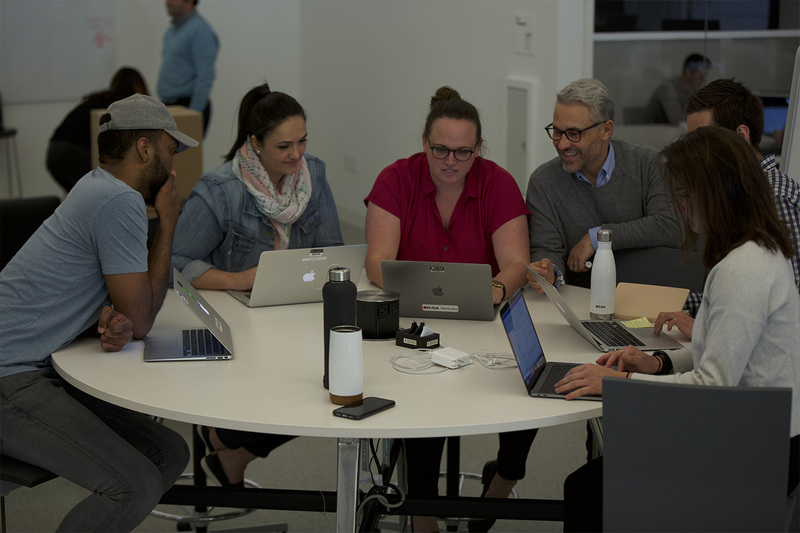 R/GA’s award-winning strategists, technologists, designers, and consultants will advise the startups to develop their businesses and prepare them for future milestones. The startups will receive mentorship from industry executives and access to our world-class Studio Partners. The Studio program will take place out of R/GA’s Portland Pearl District office, launching on July 29, 2019. The program will conclude in October with a demo event at which each startup will present to industry leaders, partners, investors, and customers from the technology and innovation community. If you are interested in attending the demo event, please email us at ventures@rga.com for more information. Startup applications open on April 24th, 2019 and admissions will roll throughout the year. Global startups working on all aspects of enterprise blockchain technologies, products, and services are encouraged to apply at www.oebvs.com. A recent article analyzing Point of Sale (PoS) cryptocurrency systems had the following headline: “Analysis: The Rise of Point of Sale Cryptocurrency Systems – Demand for solutions has grown as more and more retailers start accepting cryptocurrency payments.” The article continued: “During the past month, amidst the usual bombardment of cryptocurrency and blockchain-related stories, something caught this author’s tired eyes. 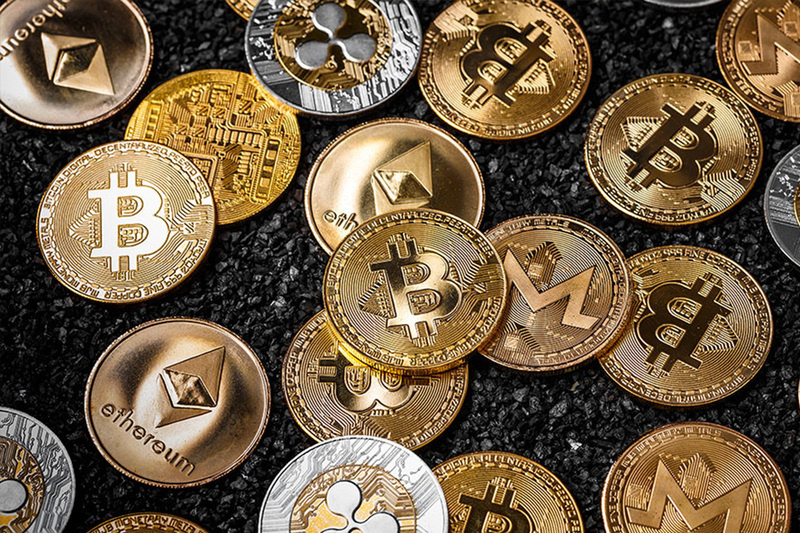 In the space of two weeks, four articles related to cryptocurrency point of sale (PoS) systems cropped up across the industry’s media outlets. For cryptocurrency fanboys, PoS systems will be old news. But though the technology may have been around, at least in cryptocurrency terms, for a while, it remains – globally – largely unused.” The article continued: “That could be about to change due to a confluence of factors. Even taking into account the recent plumment in bitcoin’s value (in 2018), the cryptocurrency market is much less volatile than it was 12 months ago. That makes payments a more viable option for both payment service providers (PSPs) and merchants. At the same time, cryptocurrency is now something most people are familiar with. True they may not hold any, but the market boom at the start of this year took cryptocurrency from being a niche industry to something the ‘average joe’ is familiar with. Finally, and on a purely pragmatic level, there are now a number of companies offering the means by which businesses can start selling their products via cryptocurrency. Active Companies in the industry include NetCents Technology Inc.(CSE:NC) (OTC:NTTCF), Square, Inc. (NYSE: SQ), PayPal Holdings, Inc. (NASDAQ: PYPL), Xunlei Limited (NASDAQ: XNET), HIVE Blockchain Technologies Ltd. (TSX-V: HIVE) (OTC: HVBTF). NetCents Technology Inc. (CSE:NC) (OTCPK:NTTCF) (Frankfurt:26N) BREAKING NEWS: NetCents Technology is pleased to issue a letter to shareholders from the CEO, Clayton Moore. Dear Fellow Shareholders – Today, I am pleased to provide you with our view on the cryptocurrency sector which has seen a rebound as well as to highlight a few of the key strategic successes that has enabled NetCents to continue be a leader in the market. Over the last few years, the cryptocurrency market has gone through its ups and downs and some would say even profound changes. In late 2017 and early 2018, investors and retail banks were heavily investing into the crypto space and in many instances their decisions were based on hype alone. The adoption of regulations in the crypto sector and normal market maturation all worked in concert to create a bear market and a prolonged “crypto winter”. No one predicted the cryptocurrency sector would go through such a large correction nor as rapidly as it did. We have consistently aligned ourselves with key people and companies in the payment and crypto sectors while always maintaining a Plan B in our back pocket. This approach has allowed the Company to keep moving forward through some very challenging times. There is every indication the crypto winter is in indeed thawing. Aside from the price appreciation of Bitcoin which has rebounded from a low of approximately $3,200 USD in early December to where it is today hovering around the $5,300 USD mark, the future for crypto-currencies as a viable mainstream payment option looks very promising. Amazon and PayPal are both now seriously looking at accepting crypto currency and for either of these two entities to do so, will greatly influence the overall acceptance and usage. The questions which I am asked most often by investors, shareholders and other stakeholders are in regard to share structure, access to growth capital and revenues. To date, the company has approximately 56 million shares issued and outstanding on a fully diluted basis, which, when compared to other participants in the crypto sector is often less than half. Regarding the issuance of stock options, I would like to mention that we seek to incentivize valued employees currently working hard to bring success to NetCents, aligning their incentives with our shareholders. It is precisely this structure and approach which allows the company to raise capital quickly from key strategic investors as needed, often within days. The challenge which was before the Company was to introduce a brand-new product into the marketplace, as well as a complete overhaul of how payments are conducted and perceived. We are validating the use of cryptocurrency by working with, not against existing payment infrastructures and legacy platforms by embedding our technology within the traditional payments space and distribution channels with Independent Sales Organizations (ISO’s), payment gateways, Independent Software Vendors (ISV’s), and technology companies who work with merchants on a day-to-day basis and who intimately understand the requirements. Square, Inc. (NYSE: SQ) recently announced that it will release financial results for the first quarter of 2019 on May 1, 2019, after market close. Square will also host a conference call and earnings webcast at 2:00 p.m. Pacific Time / 5:00 p.m. Eastern Time on the same day to discuss these results. The live webcast of the call can be accessed from Square’s Investor Relations website. A replay will be available at the same website following the call. Square, Inc. revolutionized payments in 2009 with Square Reader, making it possible for anyone to accept card payments using a smartphone or a tablet computer. Today, Square provides tools that empower businesses and individuals to participate in the economy. This cohesive ecosystem of managed payments, hardware, point-of-sale software, and other business services helps sellers manage inventory, locations, and employees; access financing; engage buyers; and grow sales. Xunlei Limited (NASDAQ: XNET) a leading innovator in shared cloud computing and blockchain technology in China, recently announced that the Company has cooperated with the Copyright Protection Center of China (“CPCC”) to build a blockchain-powered digital copyright identifier (“DCI”) system. CPCC, established in 1998, is the national copyright public service institution supervised directly by the State Administration of Press, Publication, Radio, Film and Television of the People’s Republic of China (National Copyright Administration of China). CPCC has a DCI system, which plays a significant role in the core infrastructure of the national internet copyright public services. HIVE Blockchain Technologies Ltd. (TSX-V: HIVE.V) (OTCQX: HVBTF) recently stated that on April 19, 2019 Genesis Mining (“Genesis”), the largest shareholder of the Company, holding approximately 26.3% of the Company’s outstanding shares, has requisitioned a meeting of shareholders for the purpose of removing directors independent of Genesis and electing a board of directors, the majority of whom would be senior officers and employees of Genesis. On April 20, 2019 , the HIVE Board met and appointed an independent Special Committee of the Board to deal with the requisition and related contractual disputes between Genesis and HIVE which gave rise to the requisition. The Special Committee will act in the interests of all HIVE shareholders and the Special Committee will set a date for the requisitioned meeting to be held within four months of proper delivery of the requisition notice. DISCLAIMER: FN Media Group LLC (FNM), which owns and operates FinancialNewsMedia.com and MarketNewsUpdates.com, is a third party publisher and news dissemination service provider, which disseminates electronic information through multiple online media channels. FNM is NOT affiliated in any manner with any company mentioned herein. FNM and its affiliated companies are a news dissemination solutions provider and are NOT a registered broker/dealer/analyst/adviser, holds no investment licenses and may NOT sell, offer to sell or offer to buy any security. FNM’s market updates, news alerts and corporate profiles are NOT a solicitation or recommendation to buy, sell or hold securities. The material in this release is intended to be strictly informational and is NEVER to be construed or interpreted as research material. All readers are strongly urged to perform research and due diligence on their own and consult =a licensed financial professional before considering any level of investing in stocks. All material included herein is republished content and details which were previously disseminated by the companies mentioned in this release. FNM is not liable for any investment decisions by its readers or subscribers. Investors are cautioned that they may lose all or a portion of their investment when investing in stocks. For current services performed FNM has been compensated forty nine hundred dollars for news coverage of the current press releases issued by NetCents Technology Inc. by a non-affiliated third party. FNM HOLDS NO SHARES OF ANY COMPANY NAMED IN THIS RELEASE.